Diana Huson is the first female candidate representing Pelham to run for a Regional Councillor position. The 41-year-old Huson was honored recently by having her research published in the Canadian Journal of Political Science. She has a Master’s in Business Administration (MBA) from Brock University, and acts as a consultant advising entrepreneurs on marketing and development. She once served on Pelham’s Economic Action Committee, and has been involved in several benevolent organizations including serving as chair for Brock University’s United Way Campaign. Of 31 counsellors currently on Regional Council, only four, or 13%, are women. The United Nations recommends that for governments to accurately reflect the needs of women, a minimum of 30% representation is required, Huson said. That benchmark is the lowest acceptable level, and Huson hopes to improve women’s status on Regional Council. 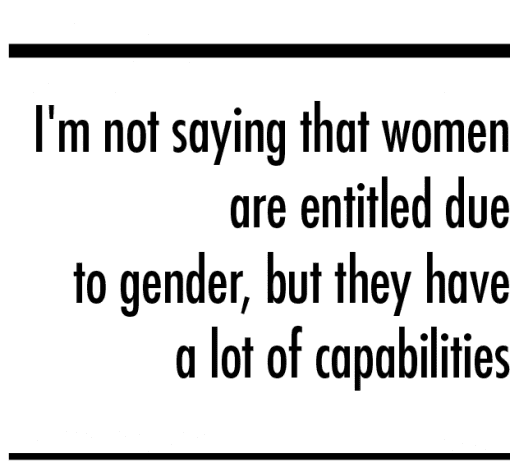 “I’m not saying that women are entitled due to gender, but they have a lot of capabilities, and they should have a voice,” she said. Having lived in Fenwick for the last 10 years, Huson has had an opportunity to follow the issues in Regional government. Her recent master’s thesis also involved her studying and interviewing local institutions on economic development and change. She queried officials on what affects economic development in this area, including how important networking is between organizations and government. One such institution was the Economic Development Corporation, which Huson said has separated from the Region, but was a preferred model at one time. The Economic Development Corporation’s mandate is to attract investment in various sectors, including manufacturing, green technology, agri-business, tourism and transportation. When the Region and the Economic Development Corporation worked together, it had the capabilities of creating positive economic changes in the area, she said. Huson’s research results indicated that having a consensus, and a “unified voice” had the greatest impact on attracting grants to this area from other levels of government and getting projects completed in many areas. Huson cites the Go Train as an example. Despite the fact that the Go Train is not being extended to reach Niagara until 2021, it was continually being discussed and “remained on the table, because there was a unified voice,” she said. Over the last few years, Regional Council’s has seen political infighting and backroom politics being practised, said Huson, who cites the controversy over the hiring of Chief Administrative Officer (CAO) Carmen D’ Angelo. “This taps into what we call questionable conduct and we need fresh faces on Regional Council,” she said. All the negativity, in what Huson describes as a “divide and conquer mentality,” detracts from council members dealing with important matters, such as health issues, waste management and economic development. If elected, Huson hopes to work with Niagara West MPP Sam Oosterhoff in attracting “the ear” of Ontario Premier Doug Ford. Huson was not pleased, however, with Premier Ford’s recent decision to abolish elections for Regional Chair positions in Peel, Muskoka, York and Niagara Region. Since the election campaign was already underway, the announcement threw a wrench into the system. “You have to admit the timing was horrible. I thought it was quite unfair and undemocratic, and it goes back to the rumors that foster clique alliances [on Regional Council] and not a democratic process,” said Huson. Ford’s move means that Pelham Mayor Dave Augustyn can no longer run for the Regional Chair position, but only as a representative of Pelham to Regional Council. This means Huson has Augustyn, Jim Hagar and the incumbent Councillor Brian Baty to compete against. When asked if this was an intimating scenario for her, Huson admitted she was a little nervous. In the past, she asserts, there has not been enough assistance for small and medium- size businesses to develop, and prevent the emigration of job opportunities. 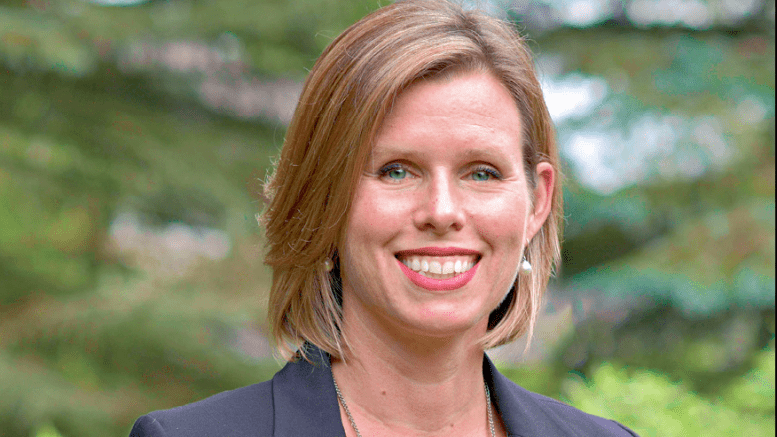 Although, Huson has her goals for a stronger and more positive Niagara, she is planning to campaign in Pelham to hear what concerns are important to residents. Huson is creating a website, Huson4Pelham.ca and invites everyone to leave their concerns. “I’m really looking forward to an exciting campaign and taking a front and center position in this election,” she said.